In 1959 I was working at Boeing and looking for a way to quit and get a job drumming. I met a guy at work who had a friend that was a member of the Adventurers. He told the band he knew a guy who had drums and a meeting was set. The deal was that they were the back-up band for Jockey John Stone and he was headed for American Band Stand. I played several jobs with them but was out of my league at that time. At a job out in the boon-docks they were pushing me to "get with it" and I stuck a stick through the snare. The rest of the night was a bust as far as I was concerned and I think for them also. As I heard a short time later after the "Payola investigation" began, the Band Stand deal was off when Stones record dropped way down. I left them a short time later and joined a group that was started by a guy named Ramirez. 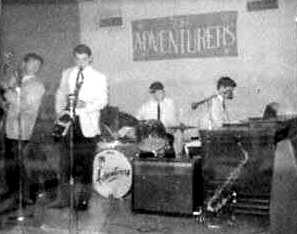 Little Bill Englehart sang the vocals on "Louie Louie" with the Adventurers. Bill Hahn and I played together until 1979 when he moved to California, where he died in about 1980-81. 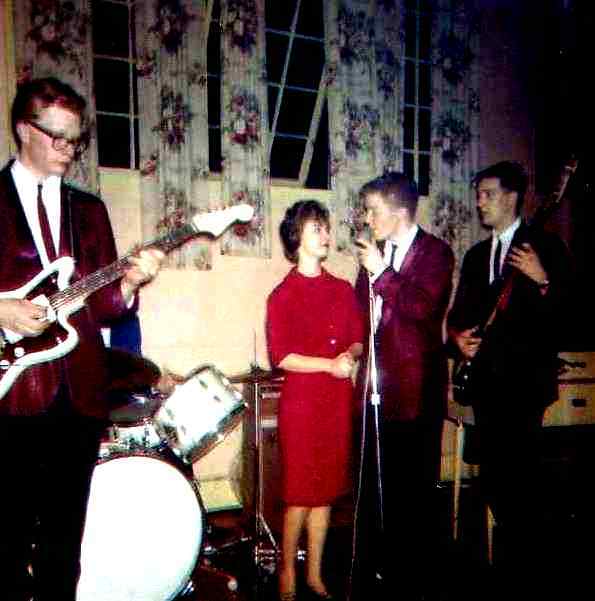 We had a club band, mostly trio, called "The Classics" with a piano player named Dorin Robinson. We were together from 1967 to 1979. There is no relationship to the other band on this site named the "Classics", aka "CFUN Classics" 1962-1966. Brady Anderson, Nancy Clair, Jim Michaelson and Bill Haun. Not shown, Tommy Valisen on drums. The above is the group I sang with after I left the Blue Notes.